Here are a few older images from the last few months. All images copyright The Gazette and Tess Colwell. 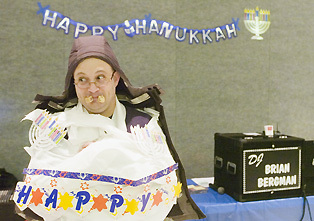 Paul Hoffman from Gaithersburg is decorated and wrapped in toilet paper for a game during Kehilat Shalom's Boogie Woogie Hanukkah Party on Saturday, December 4, 2010 in Gaithersburg, MD. The event included a latke dinner, dancing, games, and a menorah lighting with Rabbi Mark Raphael. Toys donated for the event will be given to patients of Shady Grove Hospital, in conjunction with Chabad of Upper Montgomery County's Kids in Action project. 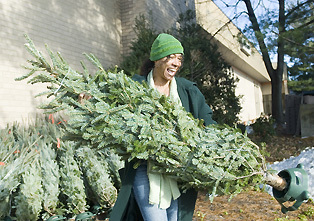 Rose Sanchez of Gaithersburg picks out a donated Christmas tree to take home with her on Wednesday, December 22, 2010 at Manna Food Center in Gaithersburg, MD. Sanchez has been unemployed for almost two years and had planned on going without a Christmas tree this year. "I am so thankful," said Sanchez. The trees were donated by Rosita Underwood, founder of Helping Hometown Heroes. The trees were intended for Walter Reed, but due to the large size of trees, they were given to Manna instead. Tara Medlej, 14, a freshman, and Kelvin Aldore, 16, a junior, watch Dondre Yon, 16, a junior, make his move in the final stages of their Jenga game during Game Week at Clarksburg High School at lunch on Friday, November 19, 2010 in Clarksburg, MD. Students play games ranging from Chess to Battleship to Connect Four.